One of the most important parts of growing a content site is providing a way for your members to quickly spread the word about your business by sharing your content. Many of you probably use Facebook, Twitter, and other social media tools to share your content with as many people as possible but encouraging your readers to share your content with their friends and contacts is an easy and effective way to supercharge your visibility. But what happens when your content is locked away behind a pay-wall or is for members only and not accessible to the general public? How can you entice visitors to stick around or buy your content when they can’t see the content that’s supposed to be enticing them? The road to maximizing your marketing potential and ultimately selling more is through creating viral content. 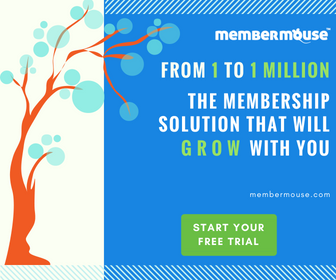 MemberMouse makes it easy for you to create shareable, marketable content through the use of our new tool, Protected Content SmartTags.The idea being that the more visitors you can target directly, the easier it is to convert them into paying customers. With Protected Content SmartTags you can dynamically display content that speaks directly to the reader based on their access rights. By distinguishing between readers who have access, readers who will have access in the future, and those who do not have access at all, you can use SmartTags to provide a targeted sales pitch and even incorporate “buy now!” buttons to get prospects in the door immediately. Members who are being dripped content on a schedule can also benefit from these SmartTags because you have the option of creating unique messages directed at members who have upcoming access to content. This keeps members engaged by strategically informing them of what they’ll have access to in the future and why they should look forward to it. With the power of Protected Content SmartTags you will be able to take your content viral by allowing others to quickly share it. But far from giving things away from free, you have the power to determine what visitors can and can’t see based on if they’re members or not, providing you with the perfect opportunity to convert visitors into paying customers.